RealPlayer can play any type of music or movie files, download videos from social media streaming sites, watch live videos, TV stations or listen radio. RealNetworks has dozens of years experience behind real player. People know about real player that its only a multimedia player but they didn’t find more features. It offers video downloading from different social media and streaming sites e.g. Facebook, Twitter, Metacafe, Vimeo and more. Moreover, it allows multiple file playback with unlimited file type support with internal coders / decoders. RealPlayer is real-time software king that also leads uploading videos on cloud servers. You need a free account and you will be awarded with special cloud space. However, web videos section includes several top rated videos. RealTimes is new feature introduced by developer team where both player and RealTimes were gathered in one place. Basically, it was designed to play RMA and RMV files in outclass quality but later times, its rich with additional encoding and decoding filters. 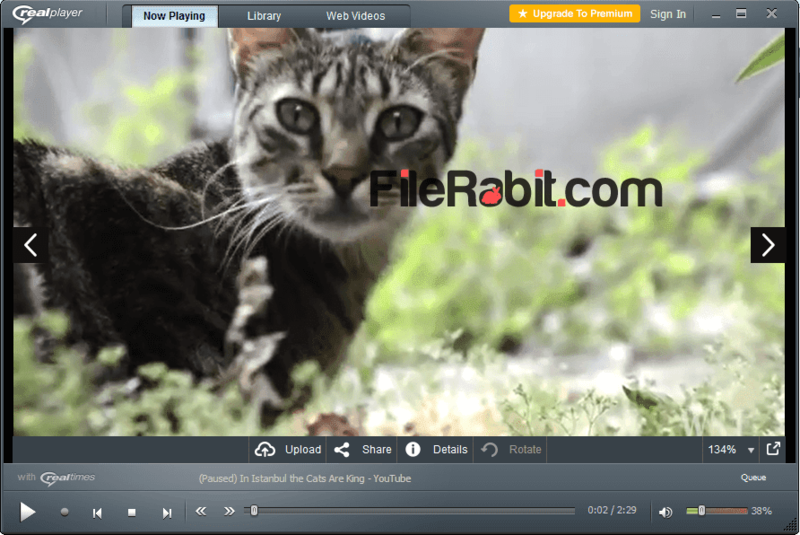 Now it can play MP4, AVI, MPG, FLV and other popular video files. RealPlayer covers different platforms e.g. TV, MAC, XBOX One, Windows (Desktop) and Mobile. 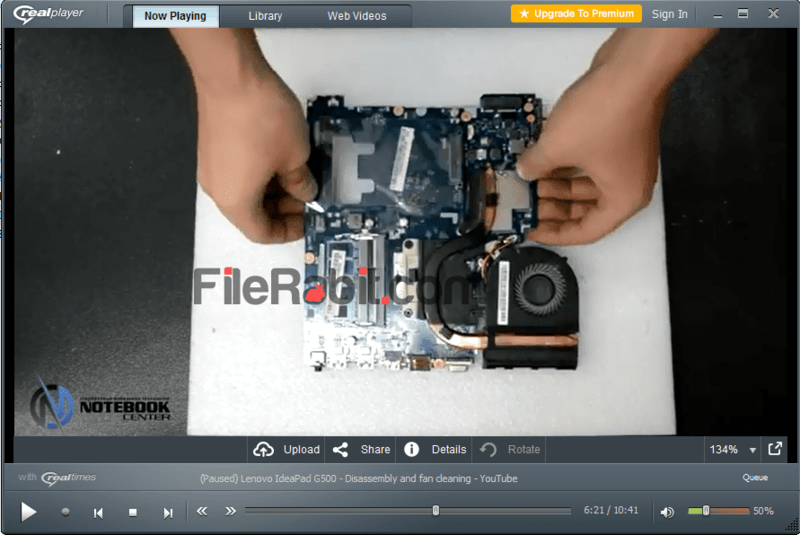 The cloud feature allow user’s to create account and sync personal video & music library, web videos, get video details, maximum volume approach, advanced zoom control and navigation control buttons as well.